The idea of Clay Shed came about in Spring 2018 when 4 friends, all slightly mad about clay, identified the need for a ceramic studio in Bristol for professional makers. Our aims and objectives are to provide a full time space for makers to access specialist facilities which will include their own personal studio, break out space, wheels, kilns and glaze facilities. Maker’s can benefit from a communal kitchen, free wifi, 24 hr access and being part of a creative community which nurtures professional development. Clay Shed aims to encourage critical discussion through a regular programme of crits, visiting artists and demonstrations which will be available to our studio holders as well as members of the public. Our founders and directors are Louise Blois, Dave Chilton, Steve Sales and Alice Shields. 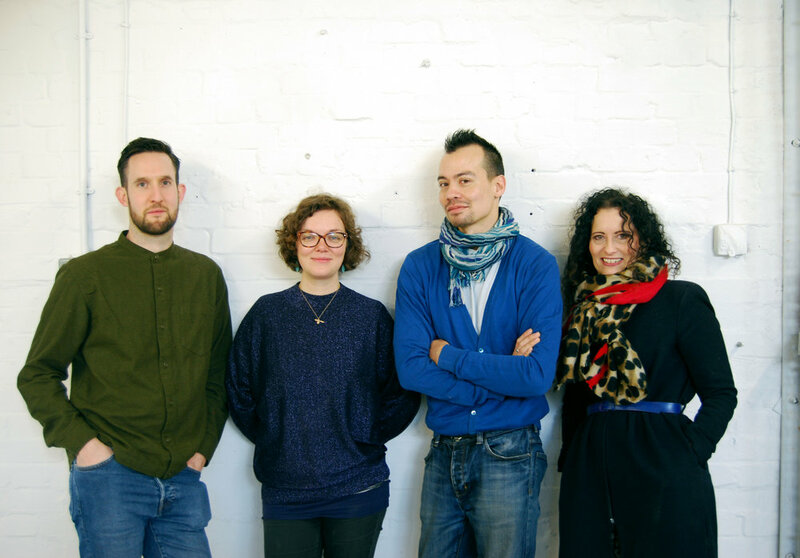 Having met through Bristol’s creative scene our team have nearly 20 yrs experience of making between them ranging from running successful businesses to teaching and post graduate study at Bath Spa University and Cardiff School of Art and Design. L-R: Steve, Alice, Dave and Louise.